Around 10 years ago, I spent my first winter in a place that actually had winter. As it turns out, snow beats the drizzly west coast winters by a long shot. Before I could really enjoy all that snow, though, I had to figure out how to get around in it. Enter, my ski addiction. Okay, at four pairs of skis, it’s not quite an addiction… yet. Before I moved north I really only considered two types of skiing – downhill and cross country. Downhill skiing was how I broke my leg when I was five, and cross country skiing was what I tried the next winter on a school field trip because I didn’t want to break another leg. Aside from the brief attempt at cross country, I spent most of my childhood downhill skiing and abandoned it when I started having to pay for my own ski passes. My move north, however, meant that I needed something to stick to my feet that would allow me to leave the parking lot. Yes, snowshoes do the trick too, but there are plenty of ways to get out and explore by skiing. Skis, as it turns out, aren’t just for going down hills fast and breaking legs. 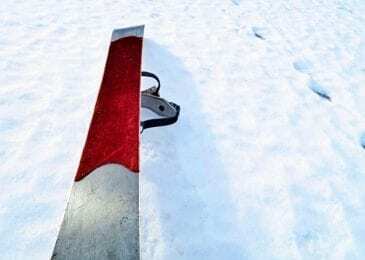 They have been used for millennia to help people get around, and those early skis have morphed into a staggering variety of long pieces of plastic. There are quite many different types of skis, so let’s find out more about them! This is skiing as most of us know it. Get on a chairlift go up, ski down, repeat. Don’t get me wrong, there is a lot you can do as you go down. You can go down some really steep spots, find some powder, race a slalom course, dodge several trees, or hit some jumps and rails at the park. In fact, seven different Olympic events are completed on downhill skis. Much to the disdain of some, I’m sure, I’ve lumped freestyle skiing into this category. A freestyle skier’s focus is on jumps and other terrain obstacles such as moguls, rails, halfpipe. Many consider freestyle its own sport, but its equipment is similar enough that I’m not giving it its own section (sorry, freestylers). They will all have metal edges that help them dig into slopes to make sharp turns and add grip to icy surfaces. These edges are essential for staying stable and in control on the slopes. This type of ski is typically just a little shorter than the skier (when comparing the distance between their chin and forehead). Slalom skiers will have and use longer ones. 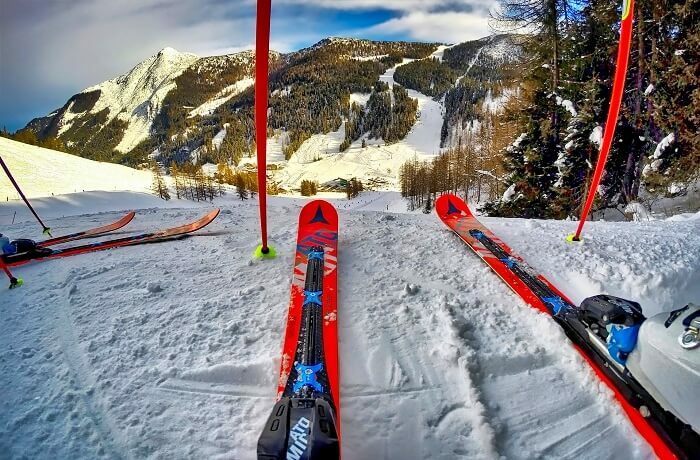 This is where most of the world’s ski sales are, so there is a lot of competition to make skis the lighter, more stable, more playful, more maneuverable, easier to use, and faster. 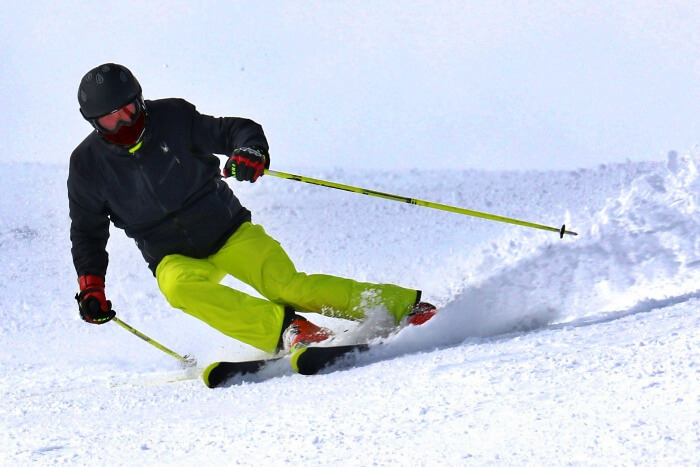 Skiers and ski makers alike are constantly looking to push boundaries, and with several sub-sports and styles already under the downhill ski umbrella, there are a lot of directions to push in. Downhill skis vary in width, shape, and flex according to the various skill levels, snow conditions, ski styles, and personal preference. They usually contain a wood core sandwiched by some sort of composite materials. Some stiffer skis will also include metal to help give them stability. For more details and examples of downhill ski design, you can check out our article on downhill skis for beginners. Alpine bindings lock the boot firmly in place to ensure skiers have optimum control of their ski. They are designed to come off upon impact in case of a bad fall, to minimize the risk of injury. These bindings also include breaks to stop them from sliding down the hill if they come off. Alpine boots are specifically made to be stiff as this allows better control over the ski. The lips on the heel and toe are there to lock them into the bindings. These boots are super uncomfortable to walk in, and every pair I’ve ever owned has left my feet so frozen that the lunchtime thaw is agonizing. While they may sound unpleasant, look on the bright (or fun) side: if you have a white pair, you can pretend you are a stormtrooper (albeit a sluggish one). Protect your ski boots and make them easier to carry all in one go thanks to a ski boot bag! Helmets are now mandatory for minors at most ski hills, with the New York State Senate having even passed a bill on the matter. As it is, it probably won’t be long before this requirement applies to adults too. Regardless of the rules, a helmet is a good idea. Head injuries are very common in skiing. Also, most people say they find their helmets more comfortable and warm than their balaclavas and woolly hats. Helmets should also be worn for backcountry skiing and skiboarding. Don’t forget to guard your eyes too! They require special protection especially when you are flying down the slope or for stronger snowfalls so pair that helmet with some ski goggles. Safety first! You live in an area with ski hills nearby. You like going fast down the slopes and not sweating a lot. Lift tickets are a breeze (or they don’t bother spending time and money on them). You want to get into freestyle. Backcountry skiing is exactly what it sounds like and what you’re expecting – skiing in the backcountry. There aren’t any lifts to get you up the mountain, but you might be rewarded with untouched powder and perfect slopes. 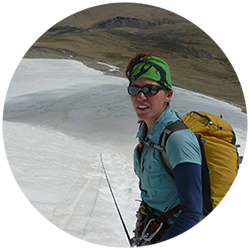 While some people head into the backcountry to find the best slopes, it also offers the opportunity to explore and even go on multi-day traverses or, for those wanting more of a challenge, ski mountaineering. You may hear the words freeride, or slackcountry skiing. These are typically short hikes up from the resort or the sides of roads. 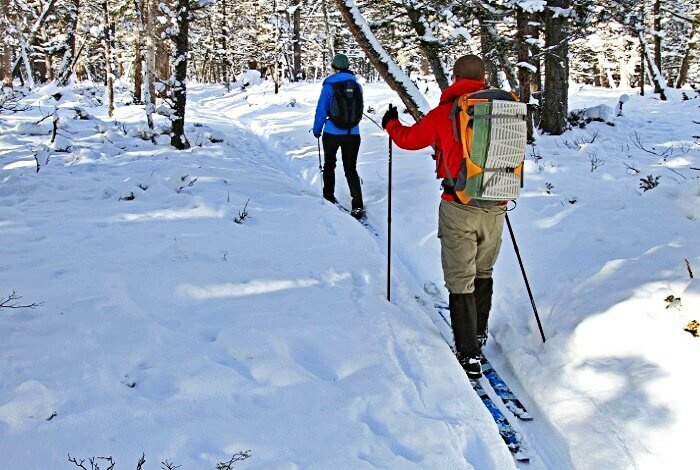 Some people may opt for touring skis, but they may also hike up in boots or snowshoes. Off-piste skiing can sometimes also apply to this, but generally refers to skiing on ungroomed, unpatrolled, and sometimes out of bounds runs that lead back to the bottom of the chairlift. Ski touring will typically take skiers into avalanche country, so they should be trained in avalanche safety and carry transceivers and rescue equipment with them. Like any foray into the backcountry, they should also have a safety plan and emergency equipment in case of injury or other emergencies. Any downhill skis can be rigged up with touring bindings, but many backcountry skiers opt for skis made specifically for the backcountry. These are lighter, which makes the hike up easier, and are wide enough to handle powder. Bindings let skiers have a free heal so they can walk uphill, but will lock down when it’s time to ski down. They are also built to auto-release on impact to help prevent injuries. 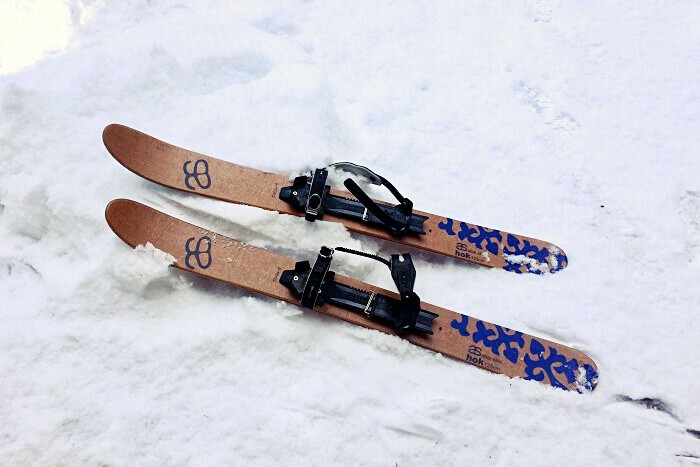 The most common bindings for this type of skis are tech bindings, which attach to the toe and heel with pins. Tech bindings are generally lighter than alpine bindings and provide less stability when going downhill. This is especially relevant on the hardpack and ice where you really need to use your edges to stay stable. Some models do not have brakes, so you should also check for that. 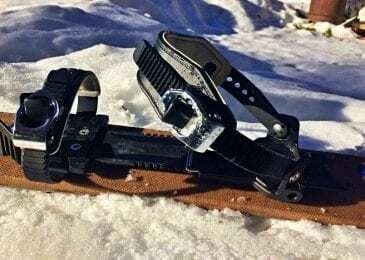 Riders looking for more stability can opt for frame bindings or the newly released Shift bindings made by Atomic and Salomon. Frame bindings have toe and heel pieces attached by a frame that moves with the boot. They are heavier, but a bit cheaper and more stable on groomed runs. The Shift locks boots in place with the toe lip, like an alpine binding, to provide stability but use the pin system while in walk mode. They are heavier than tech bindings but lighter than frame bindings, so they make a good option for someone who skis resort and backcountry, but doesn’t want two sets of skis and bindings. 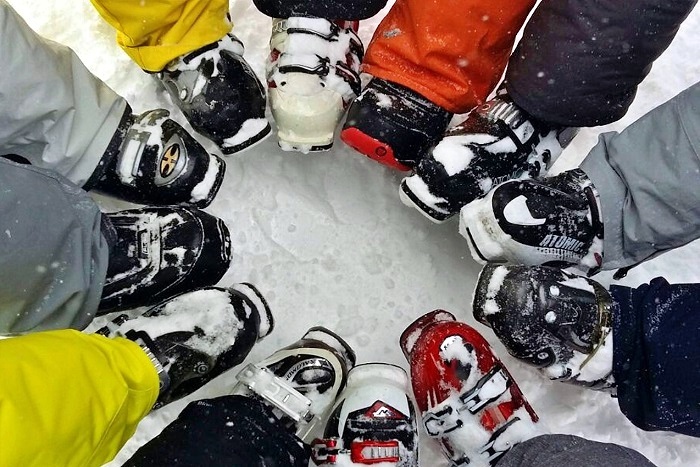 Daymakers and Alpine Trekkers attach to alpine bindings to give skiers a free heel. 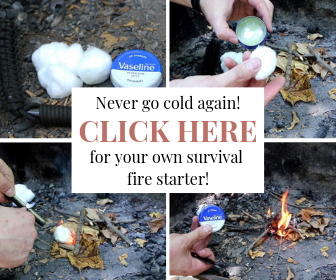 They are heavy and aren’t all that great for longer trips, but can still be a good option for anyone looking to explore a little. Tech bindings need special boots with holes for the pins. They will also have a walk mode that gives the boots some mobility on the uphills. These boots will typically be light, though some skiers prefer heavier boots for comfort and stability, especially those who use their setup at the resort. Most have lips at the toe and heel that allow them to be used with alpine bindings. 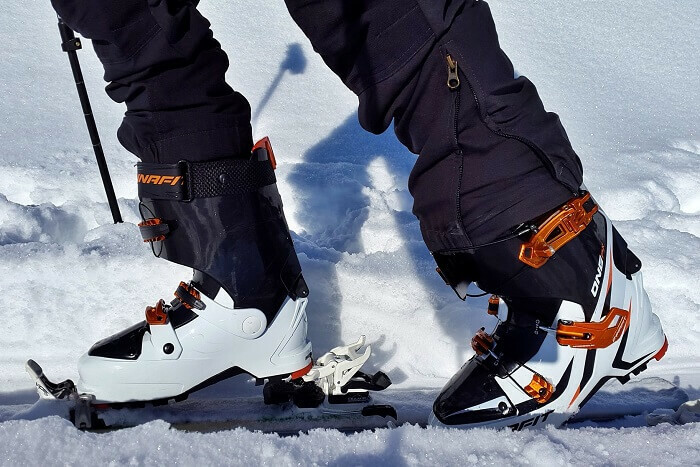 Both alpine boots and touring boots with lips can be used with frame bindings. Climbing skins are an essential element of getting up the hill. They are made of fibers, either nylon or mohair, with the grain of the fibers aiming back to prevent skiers from sliding backward as they climb. They attach to the ski with clips and glue and get removed at the top of the hill. For extra steep slopes, skiers can install crampons as well. Still, better safe than sorry as it is extremely important to know how to react and behave in case of an avalanche. The very idea of exploring pristine areas thrils you. You are willing to spend the money to buy the gear (the bindings and boots are very expensive). Telemark skiing uses alpine skis, but the bindings do not lock the heal down. 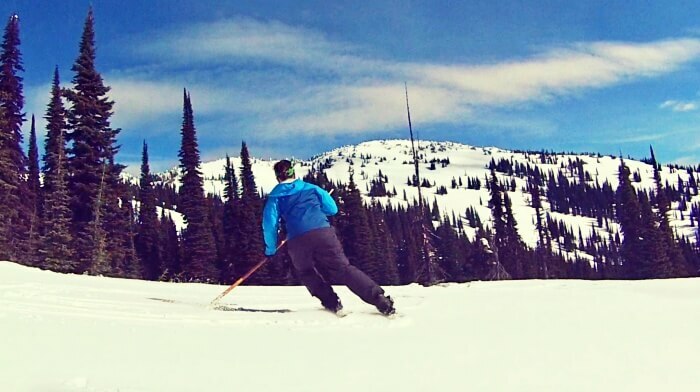 Telemark turns are tricky to master, but quite elegant when done well. They were more popular in the days before tech bindings, but some die-hards still use them, both at resorts and for backcountry excursions. Some claim that telemark is easier on the knees, but with uncertified safety releases, there aren’t many practical reasons for a telemark setup over an AT setup. The fact that they may be easier on the knees is mostly negated by the tele skis’ reputation for breaking legs. Riders likely simply enjoy the style and the challenges of telemark skiing. 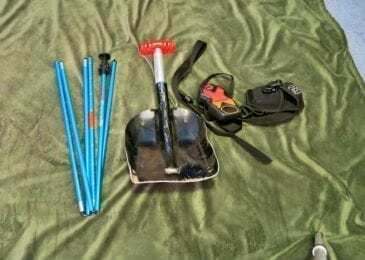 Anyone heading into the backcountry with telemark skis should take the same safety precautions I mentioned for backcountry skiing. Telemark skiers will typically look for the same qualities as backcountry skiers. 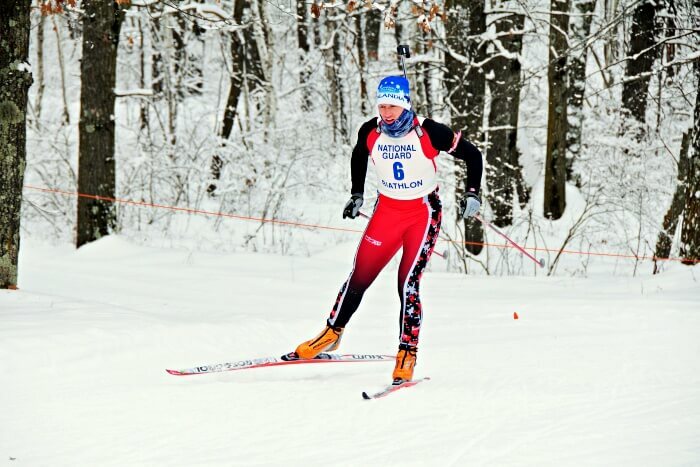 Still, there are some notable differences such as the fact that they usually go for slightly longer skis. They also need more edge control as they lack the necessary stiffness in the boots and binding. The term “earn your turns” is a favourite telemark motto. 75mm bindings and boots are on par with a more traditional style. The boots have a large bill on the toe with three holes on the bottom. These fit into three pins on the skis and clamp down. Some have a cable around the back of the foot for extra control. However, it does not allow for much freedom of movement in the toe – something that comes in pretty handy when climbing hills on a tour. They also don’t offer as much support, so skiing in icy conditions will be tricky. There are no breaks or release, but tele skiers claim that since they don’t ski as hard, these features are unnecessary. 3-pin boots can be worn with shorter leather boots or modern plastic boots. One huge advantage of the three pin system is that it is cheap, especially if you can pick up the equipment secondhand. The Voile Switchback X2 is exactly this type of binding. The New Telemark Norm offers a more technical binding with more power and stability. They also feature releases, brakes, and step in-step out abilities. NTN boots have a “second heel” at the back of the toe pad for the binding to clip into, and lack the big duckbill lip. The Telemark Tech System is the newest among the three mentioned here. It uses the 2-pin system of tech bindings. Most NTN boots are now sold with tech inserts, so they can be used on TTS bindings. Like the 75mm, they use a cable or the second heel to give skiers stability and control. You like being a little different or trying something else. Telemarking is hard to learn, so you must be patient and dedicated. 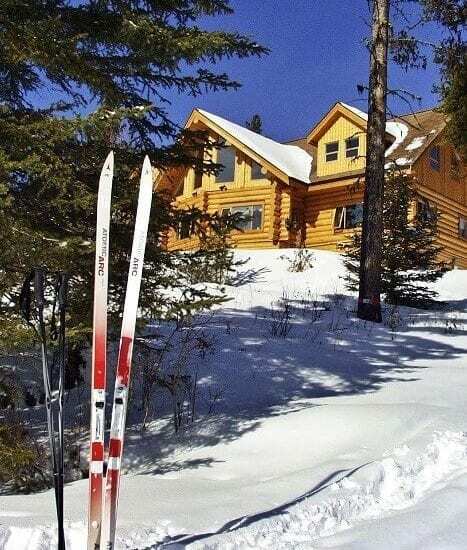 You are looking for an affordable option to backcountry skiing. 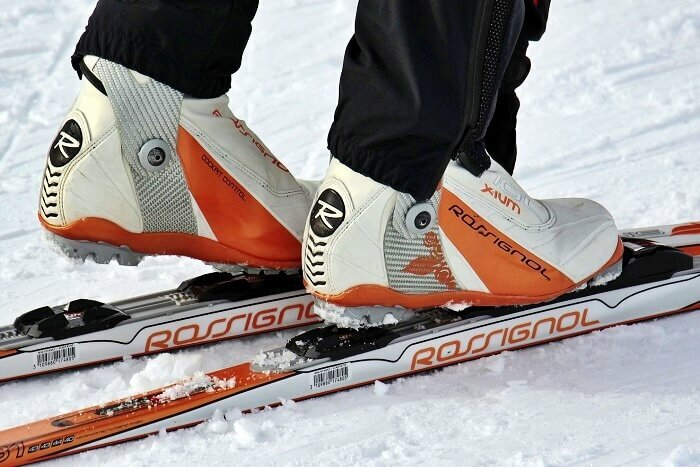 Ski shoes are a little-known category of skis that mix the convenience of snowshoes with the sliding ability of skis. They’re short, wide, and have some form of grip for travelling uphill. They do not have the same flotation, control, and grip of a backcountry ski, but they will take up less energy to travel through deep snow than snowshoes (as long as the hill isn’t too steep). Of course, getting to slide downhill after is a huge bonus (albeit it won’t be as fast as on conventional skis). They are cheaper than an AT setup, but generally cost more than snowshoes. 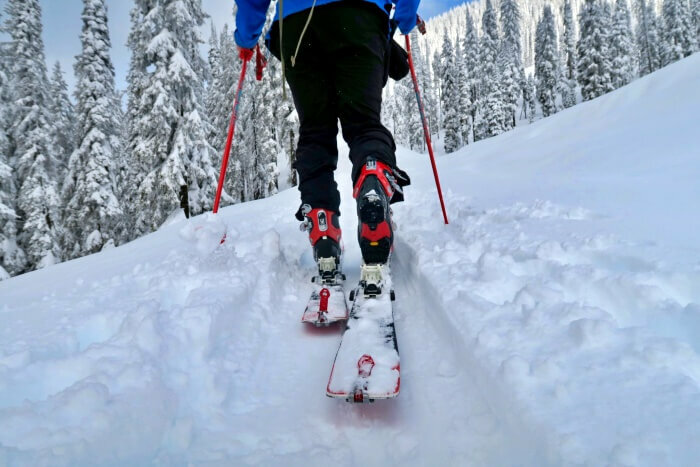 Like backcountry skis, take precautions before heading into the winter wilderness, especially during winter. If you are headed into avalanche areas, get trained and ALWAYS bring your avalanche gear! This is an emerging market, so you get a lot of variables. They come with either universal bindings that you can wear with snow boots or telemark bindings. 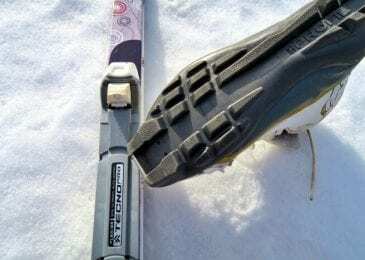 The grip can range from fish scales, similar to cross country skis, to crampons similar to a snowshoe, to permanent or removable climbing skins. Some ski shoes are longer with metal edges to help with edge control, while others resemble longish snowshoes. The Altai Hoks offer one of the best balances of control, speed, and functionality. They come in two lenghts (125cm and 145cm) and with either universal or three pin bindings. The Hoks are light, durable, and have metal edges for control. Between the short length and the skins, they can be tricky to control at high speeds. It’s easy to be thrown off balance, so be careful with that. Many hok skiers (including myself) opt for a long stick called a “tiak“ instead of poles to help with balance. You would rather explore than seek out the best slopes. Slogging around in snowshoes is a definite NO for you. You don’t want to hassle with, or pay for a backcountry ski setup. You want to explore a lot of up and down terrain (where AT skiers would have to skin up multiple times) that is not steeper than a blue run. 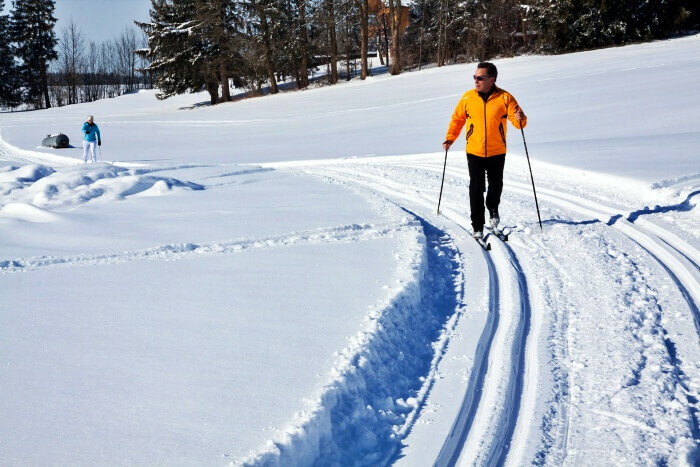 Classic cross country skiing is what you likely think of when you think of cross country skiing. It is typically done on a groomed trail, and often on tracks that keep the skis parallel. Classic skis can go off trail though, as long as the terrain is mellow. They don’t have nearly as much grip as a ski with climbing skins, but they have a lot more glide. Skiers use a kick and glide motion to propel themselves. When the hills get too steep, they have to use the herringbone technique by putting their skis in a V-position and duck-walking up the hill. Classic skis are made with tracks in mind – long, narrow, and straight. Skis either have a scale pattern or grip wax underfoot to allow the skier to stop the ski from sliding backward. They are made with a double camber (an upward bend in the middle) so the grip wax or scales don’t touch the snow and interfere with the glide unless the skier’s weight is on it. They don’t have metal edges – a feature that helps keep them light but also makes them hard to control on hills. Broken leg notwithstanding, all of my most painful falls have been trying to control cross country skis downhill in icy conditions. You can take a peek at our selection of ski pants that will be sure to keep you all warm and dry on your next cross country skiing adventures! There are several types of bindings, but modern ones all connect to the ski via a short bar on the toe. The foot pivots easily on the bar. The two major systems, the New Nordic Norm (NNN) and Salomon Nordic System (SNS), differ mostly in the grooves on the bottom of the boot. Each system has several variations that make it important to check compatibility with the boots. In recent years, however, manufacturers have been working on making the systems more compatible. Older classic skis (and there are still plenty around) employ the same 75mm bindings used with telemark boots. The boots have more flexible soles since the toes are pinned down rather than made to pivot on a bar. This generally decreases their control. They still function though, and it is easy to pick up a pair for dirt cheap at a garage sale. The boots themselves are typically lace-up leather or flexible synthetic material and are high enough to support the ankle. You just like being outside and don’t care about shredding the gnar or reaching remote places. You like a good workout and have good cross country trails nearby. Spending a lot of money is not on your To-do list. Skate skiing uses a motion similar to skating to gather speed on groomed trails. A typical Nordic ski centre will have a trail wide enough for skate skiing, with classic tracks on the side. This is a common choice for racers. Recreational skate skiers tend to take the sport more seriously than classic skiers. Skate skis are similar to classic skis. They have no metal edges and are narrow and straight. They are, however, shorter and lack the fish scales or grip wax of classic skis. This ensures they have more glide, but it also means riders will have to herringbone up most hills. Skate skis also have less camber as there is no actual need to keep the middle of the ski off the snow. The skate boots and bindings are similar to those of classic skis. The boots offer more ankle support and have stiffer soles to help reduce the impact of the twisting motion – something that improves performance, and protects the skiers’ ankles. 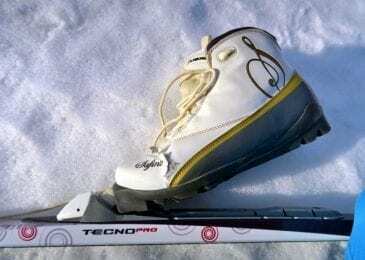 Some skate skiers prefer SNS pilot bings, which have an extra bar underfoot to help lift the ski as they step. You want an even better workout than the classic. If you need an excuse to wear a bright spandex suit. Light touring is essentially classic skiing off of groomed trails. XC touring is best done in places with a mellow terrain, as deep snow can hinder their movement, making both descents and ascents tricky. These skis are shorter and wider than classic skis as this allows for more flotation and easier turning. They also have metal edges that will improve the control when going downhill. 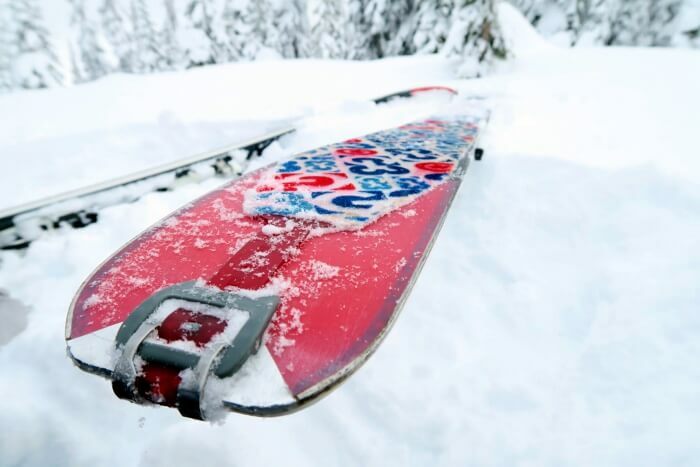 XC touring skis will often have a sidecut, meaning they are slightly wider at the back and front to make turning easier and give more flotation. Most will also fit into classic tracks, but check before you buy them, just to be sure. Any XC boot and binding pair will work for XC touring, but a stiffer boot with more ankle support is the best bet. The SNS X-Adventure boots and bindings are wider and stronger for navigating more difficult terrains or tricky snow conditions. You enjoy classic skiing but also want to get into the backcountry side of things. Aren’t headed into steep terrain. You want something cheaper and less complicated than an AT setup. Skiboards are short, wide skis, usually with twin tips, that will work with downhill boots. You’ve likely seen them in the Olympics, but if you live in North America, you’ve probably never met a ski jumper. Skiers go down a big hill and fly through the air for up to 250m (some 820 feet). Ski jumping is far more popular in Europe. I’ve decided not to elaborate on it simply because I wanted to focus on skiing that allows for some exploring of the great outdoors. 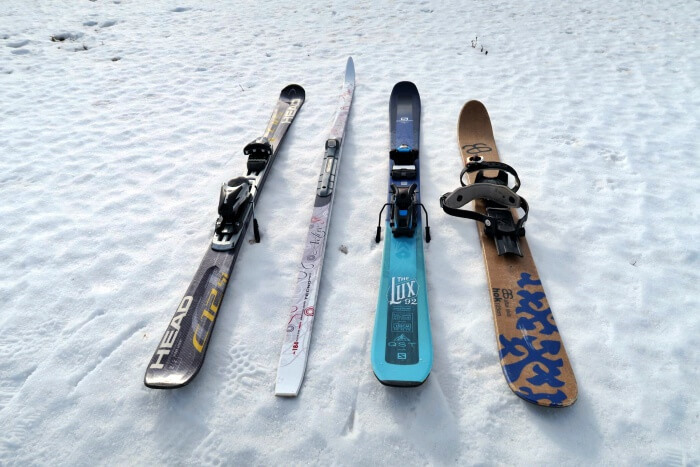 So there you have it, the many different types of skis that you can use depending on where or how you are planning on skiing, among others, complete with info about their gear and some safety tips. What is Your favorite pair of skis, slopes, or type of skiing?